Wendy White (b. 1971) was born and raised in Deep River, Connecticut, and currently lives and works in New York City. 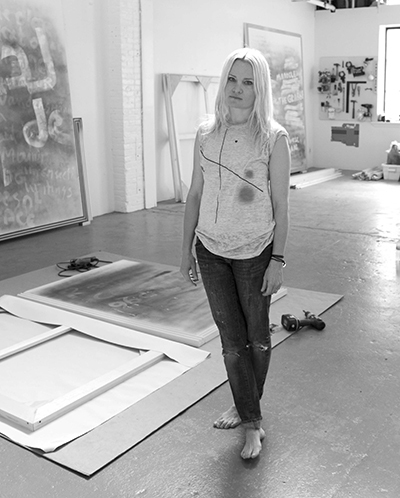 After receiving her BFA from Savannah College of Art & Design in Savannah, Georgia and her MFA from Mason Gross School of the Arts in New Jersey, the artist moved to New York in 2007, where she has been based in Chinatown, Manhattan for the past 11 years. has also been featured in Phaidon’s anthology Vitamin P2: New Perspectives in Painting (2011). She will have a solo exhibition at Museum Goch in Germany in 2019.